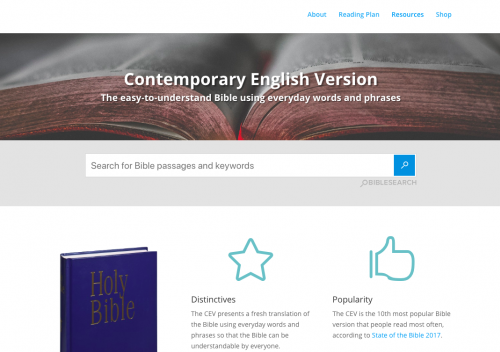 CEV is the Contemporary English Version of the Bible, published by American Bible Society. The CEV presents a fresh translation of the Bible using everyday words and phrases so that the Bible can be understandable by everyone. Published in 1995, the CEV ranked as the 10th most popularly Bible read in 2017.